One of our friendly team members will help you with your information on your visit. Dr. Perlman and his staff are dedicated to providing you with exceptional periodontal treatment in a caring and relaxed environment. His goal is to take care of your immediate concerns and, at the same time, provide for your long-term dental health. Dr. Perlman conducts a thorough exam during your first visit. Your first visit with Dr. Perlman consists of a comprehensive exam that helps us determine the state of your oral health. Dr. Perlman will provide an accurate diagnosis, answer all of your questions and go over possible treatment options. 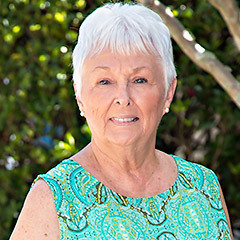 His friendly and caring staff will help you complete your paperwork as needed, work with you on insurance and payment options, and provide you with the finest of care tailored to your specific needs. 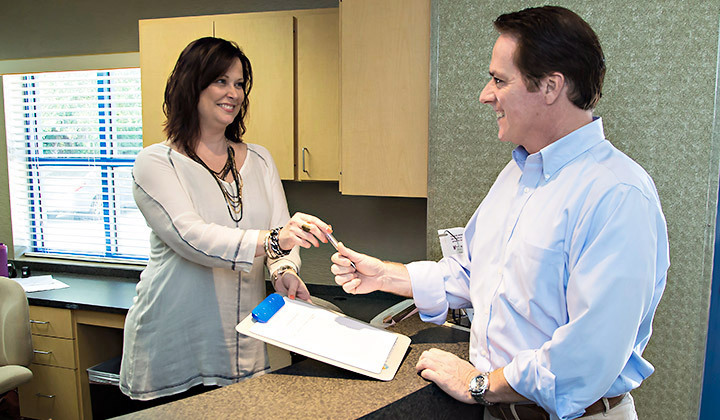 On your first visit, Dr. Perlman will sit down with you and go over the details of your dental and medical history. He will review your goals for your periodontal health and answer any questions you have. Dr. Perlman will then perform a thorough inspection of your gums, teeth and bite. He will note any missing teeth and look for signs of decay or gaps between teeth. He will check the stability of your teeth to see which ones may be loose, and will inspect the alignment of your bite. Successful long-term control of gum disease begins with a thorough periodontal exam. 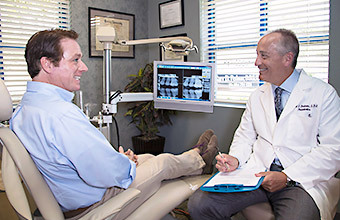 Dr. Perlman will gently probe the depth of the pockets under your gum line and assess the degree of any gum disease. He will record the results of the pocket probe and use this information to track the progress of your gum disease treatment. 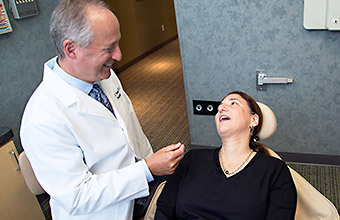 Dr. Perlman conducts an oral cancer screening as part of each new patient exam. This includes a visual and manual examination of the mouth, neck and head. 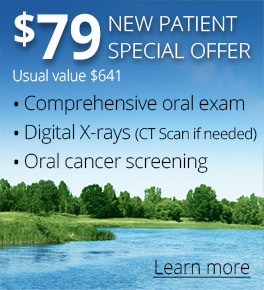 An oral cancer screening takes just minutes, is pain-free, and can detect potential problems in its early stages. Digital X-rays use less radiation than conventional film X-rays. If needed, we will take individual digital X-rays of each tooth to get a detailed view of your teeth, mouth and gum. Our X-rays give Dr. Perlman the information needed to determine an accurate diagnosis, and can be viewed by both you and the doctor. 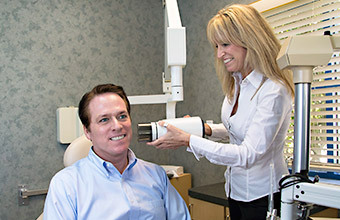 If we need to get a more detailed view, our 3D CT scanner provides us both panoramic X-rays and computer-processed 3D images of your teeth and jawbone. These images give us a comprehensive view of your mouth and can help Dr. Perlman in the diagnosis of your condition or help plan bone grafting and dental implant procedures. After this thorough evaluation, Dr. Perlman will study the results to develop the best course of action. A treatment planning conference is then scheduled where Dr. Perlman will go over the results of your examination. He will go over your X-rays with you, show you instructional videos, and use models so you completely understand what is happening with your oral health and how his recommended procedures will work for you. You will receive a full written treatment plan at the end of your consultation and meet with our Treatment Coordinator to work out scheduling and planning of your treatment. Comprehensive Examination, Consultation & X-Rays!